In the online marketplace lots of the options are available for making money with your skills of writing. Its depends on your interest which one is perfect for you. Personally I would like writing, It is a very easiest way to make money with internet. In the coming up segment I will share with you some of the perfect ways for making money through writing style. I am sure I'm not the first person in this industry who recommend to start own Blog because it doesn't have limited potential for earning. The making money through Blogging is recurring. If you start write tutorials in 2017 regularly, then you can start earning with it. Having said that, Blogging fraternity is already overcrowded. A great content which is refreshing and unique can surely make you stand out. But unless people know you have a "great content" at your blog, it would be a total waste. So for Blogging, you need to learn keyword research, you need to know content marketing, you need to have good presence at Twitter and Facebook. If this is something you feel you can manage, there is nothing better than Blogging. As I said, as a Blogger, to stand out of crowd, you must be able to produce nothing less than an awesome content. Not only that, you need to be able to update your blog at least twice a week. This is the reason, many bloggers hire the services of Content Writers who can give them fresh content regularly. Add to it, the number of small business website that goes online each day and you have tremendous scope to grow, provided you have excellent writing skills. Content writing can either be full time job or a part time Job. For getting a full time content writing job, you may search Job portals which are most active in your respective country. Indians can consider Naukri.com and Monster.com. And if you are fresher to content writing, Freshersworld.com would be the best option for you. However, if you are still a student or have a full time job and want to utilize your writing skills, you can also work part time. There are many Freelancing Websites, where you can find Content Writing jobs. You get paid anywhere between $0.5 to $5 per 100 words depending upon your writing skills and your experience. However, newbies at the website may struggle to get Content Writing jobs at these websites. Out of all the above, I feel getting Content Writing jobs at Fiverr would be easier. Though it may not always be the case. You can refer below articles of mine that will be useful to know how these websites work and how to maximize your chances of getting jobs at these websites. If you are finding it difficult to get jobs at the Freelancing Websites, you can get in touch with Bloggers directly. Most of the popular bloggers do hire content writers and are usually open for Ghost Writing provided you can give them fresh content. You can approach Bloggers either through their website's contact us form or through Social media. Websites like About.com And Listverse pay as high as $100 per article. However, to be able to get your articles accepted at these websites, you should be able to write high quality articles without any grammatical errors. 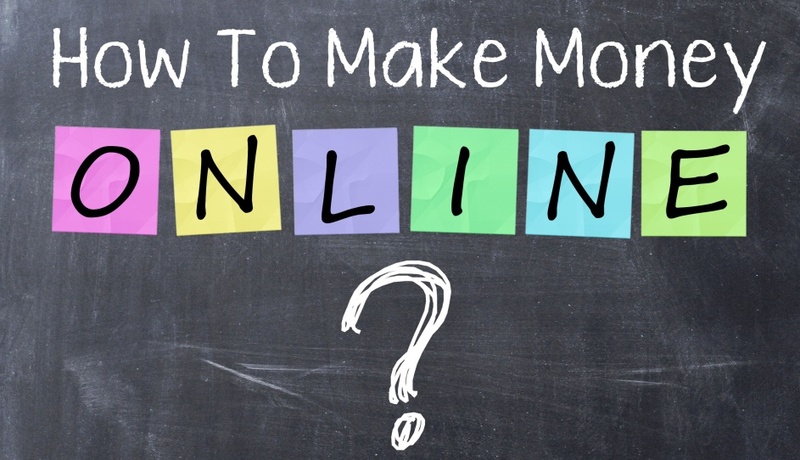 Bottom Line: In this tutorial I have share 5 ways for making money online if you have any problem and want to share your ideas or want any kind of the solution regarding this concept you can fill free ping me through my social platforms or by contact us page.